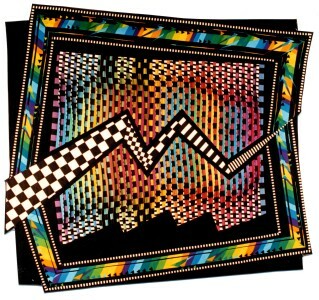 This is part of a series in which 1/2", constructed tucks are incorporated into a pieced background. 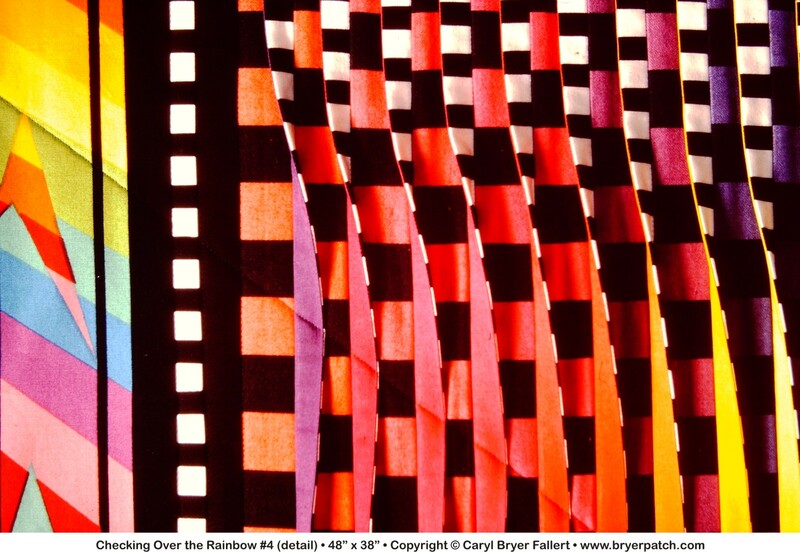 This is also the fifth in a sub-series exploring various relationships between checks and gradations of rainbow colors. 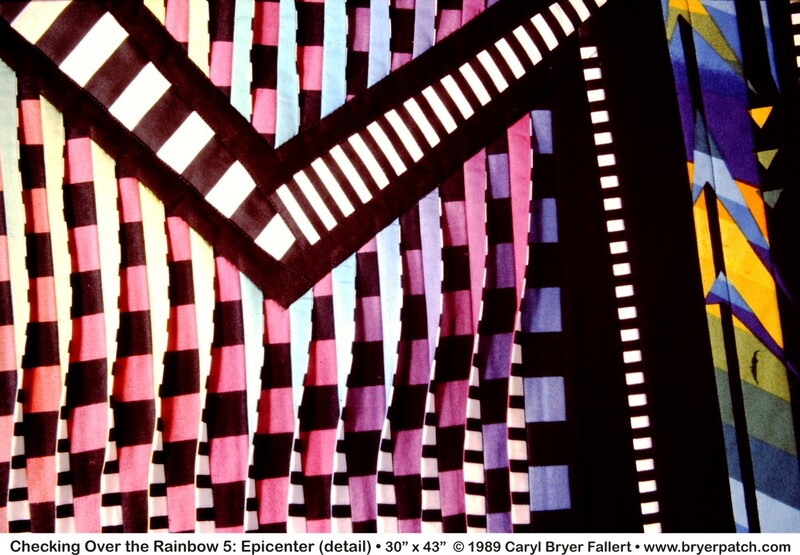 During the time I was making this quilt, there was a large earthquake in San Francisco. 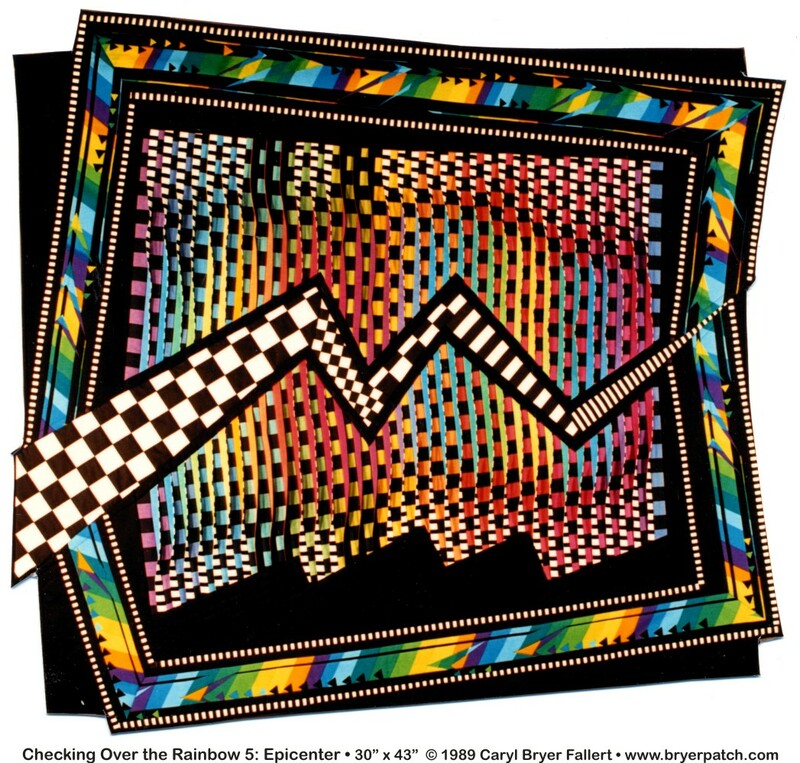 The next morning I put a zigzag slash across the quilt and willed it with black and white checks. 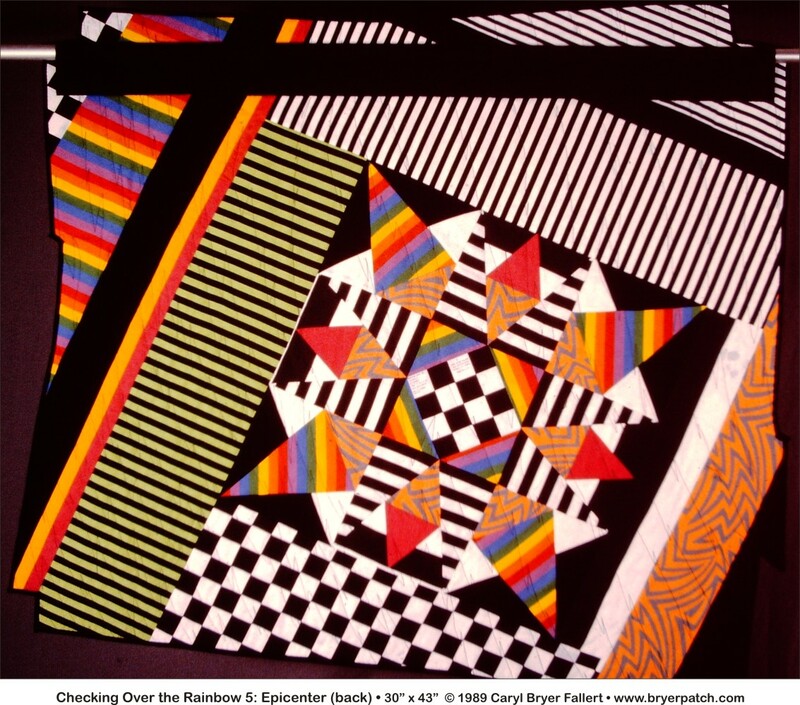 One side of the tucks is made from a hand dyed gradation of pure rainbow hues, and the other sides are made from black and white striped fabric that looks like checks. 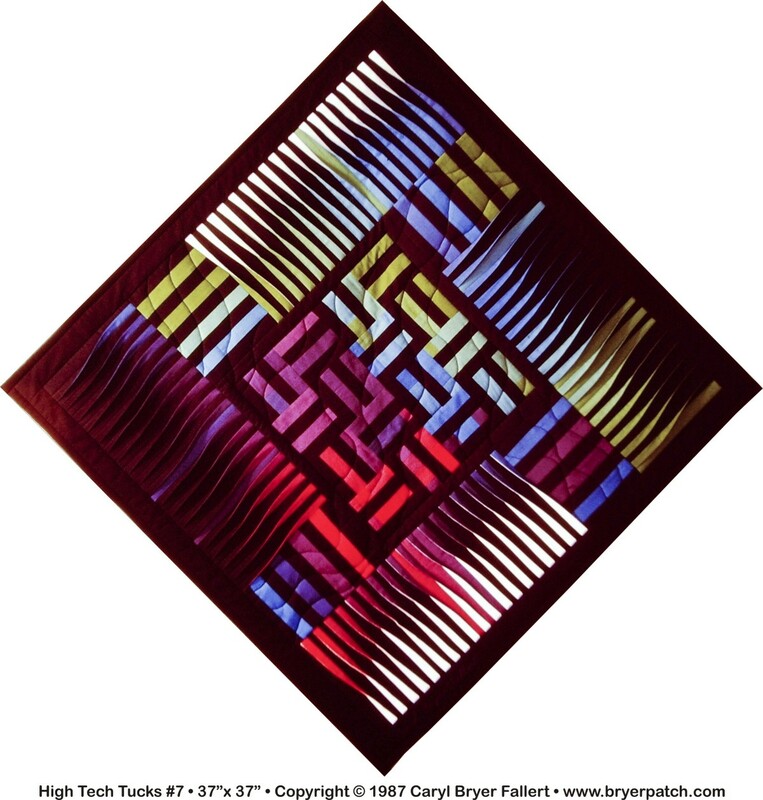 The twisting of the tucks and the gradations of color give the sense of movement. 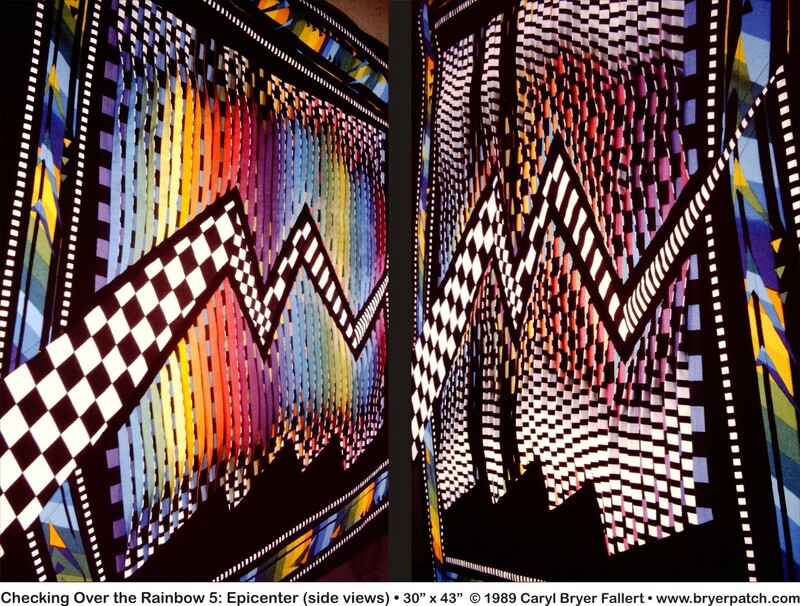 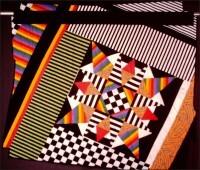 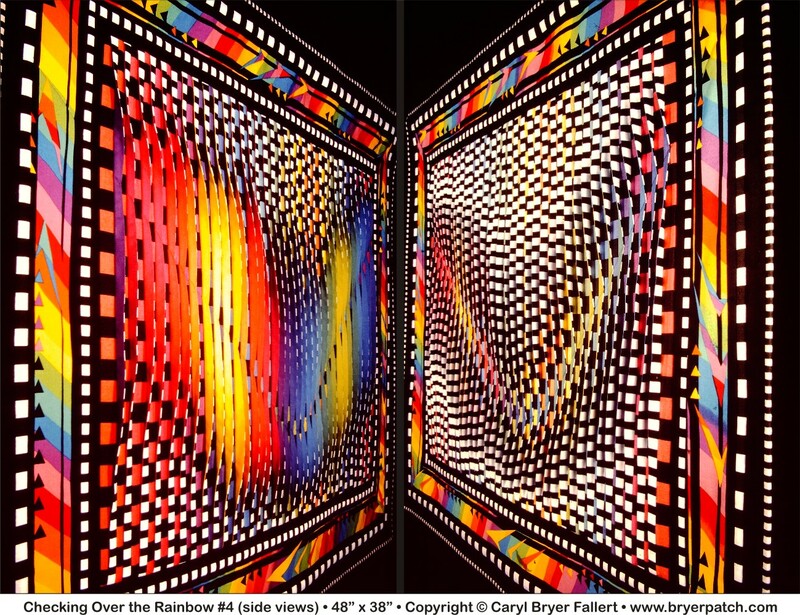 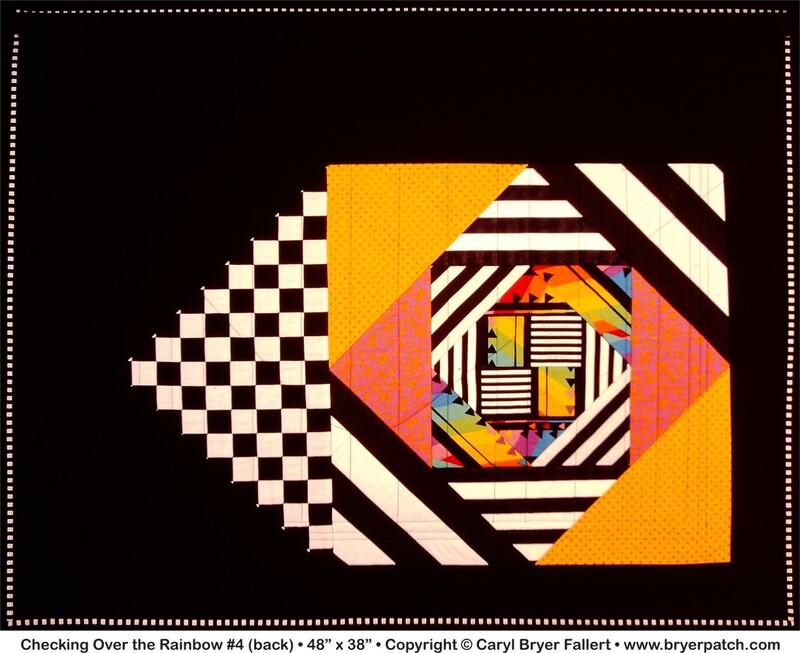 FACET Traveling Show, American Museum of Quilts and Textiles, San Jose, CA, 1990 and traveling to other venues through 1991.